The largest member of the vast Weasel (Mustelidae) Family is the Wolverine (Gulo gulo). They are found in remote reaches of the boreal forests and subarctic and alpine tundra of the Northern hemisphere, with the greatest numbers in Alaska, Canada, the Nordic countries of Europe and western Russia. Their populations have experienced a steady decline since the 19th century. 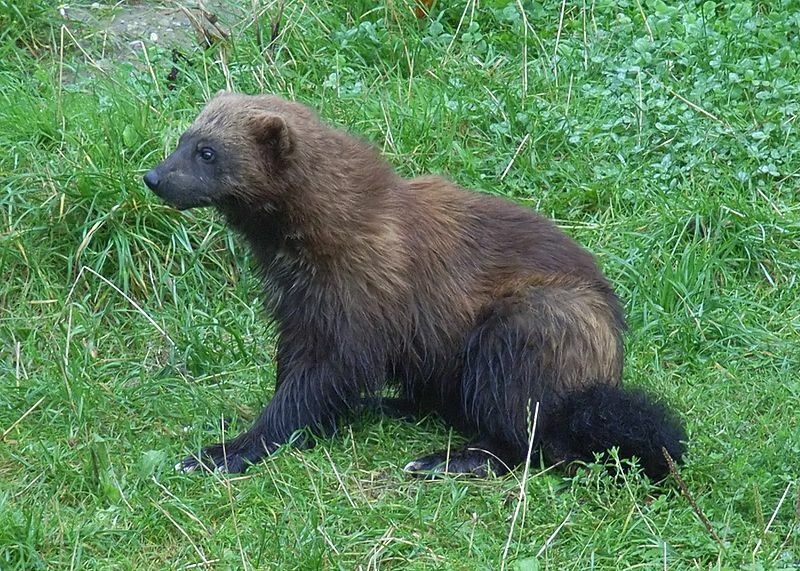 While their populations appear able to support limited harvest, the status of the wolverine throughout its range is largely unknown. They are trapped and hunted for sport, and for their fur, throughout western Canada, Alaska and Montana, and are controlled as a predator of domestic livestock in Scandinavia. The Wolverine Foundation, Inc. (TWF) is a non-profit organization comprised of wildlife scientists with a common interest in the wolverine. They have joined together not because they feel the wolverine is in danger of extinction, but because it is in need of attention. Their objective is to promote awareness and direct resources for the benefit of this fascinating and mysterious creature. Through their website, they offer information to the interested public as well as the science professional. Their website contains the most up-to-date bibliography available on wolverine literature; a comprehensive summary of wolverine life history; reviews of wolverine research; and management updates outlining current issues. TWF is operated by a small administrative staff, and managed under the guidance of a world-wide directorship comprised of wildlife scientists. They operate solely on the voluntary efforts of directors and staff, and with the help of private and public donations. Through the sales of our wolverine t shirt, The Wild Carnivore annually sends funding to The Wolverine Foundation. Visit their website to see how you can help all of us learn more about the enigmatic wolverine, and make a tax-deductible donation today.